General purpose programming on graphics processing units (GPGPU) is a growing field. GPGPU relies on high parallelism in an application domain to exploit the massive parallelism of a GPU. However, graphics rendering is an embarrassingly parallel problem, one where finding parallelism is extremely easy. Some stages of the graphics pipeline can be parallelised to the pixel level – a level of parallelism not shared by many real-world problems. Project Crayon reconceptualizes the GPU as an array of very simple CPUs design on RISC principles. each with minimal extra features to support graphics processing. 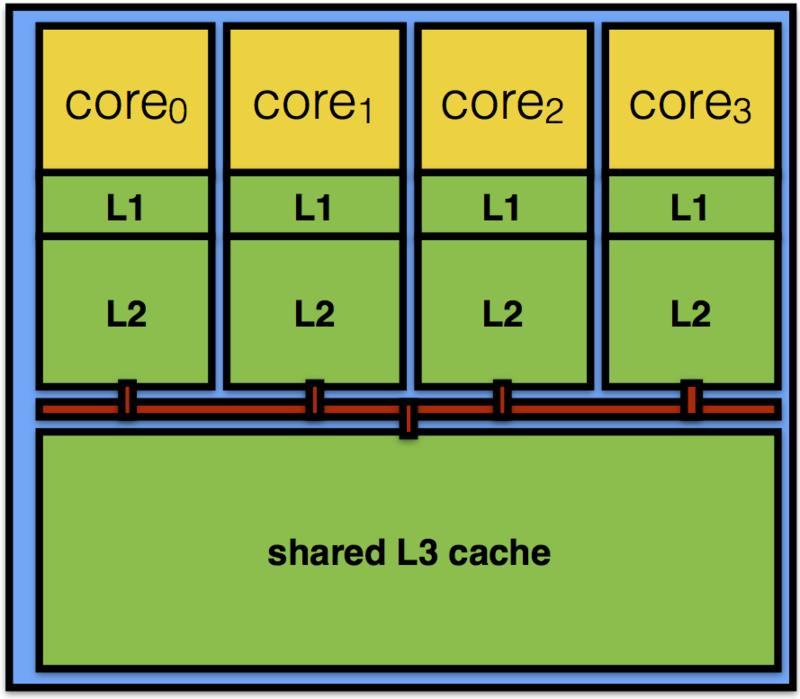 The Intel Larrabee architecture was an attempt at implementing a similar concept, but with a starting point of a Pentium pipeline, which is not competitive with simple RISC pipelines of the same era. To avoid confusion, the project logo is clearly a line of crayons, not a trademarked family of supercomputer companies. Identify the performance bottlenecks that can be addressed by special instructions. Start from general-purpose forms of additional parallelism like vector instructions. Add as small a number as possible of less accessible forms of parallelism. Evaluate the approximate chip areas needed for the resulting design. 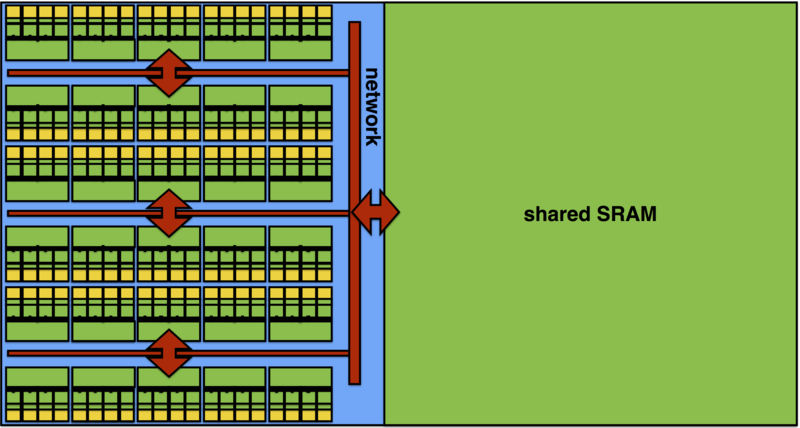 Conceptual design of Crayon, composed of a scaled up multicore design with a network on chip interconnect. Philip Machanick, Project CrayOn: Back to the future for a more General-Purpose GPU?, Proc. 2nd Workshop on Pioneering Processor Paradigms, Vienna, 25 Austria 2018 [online].